Are Interlock Devices the Answer? I came across an editorial recently on Pennlive entitled: Here’s a better way to deter drunk drivers from re-offending. 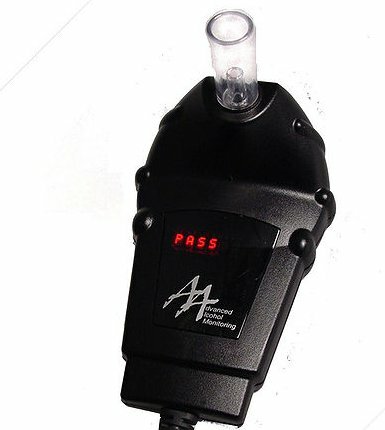 In it the editorial staff touts the effectiveness of ignition interlock devices (IIDs) and recommends them as a solution to stopping being from getting multiple DUI offenses. As an attorney who deals with DUI cases on a daily basis, I respectfully disagree with this argument. It is a basic known and accepted research fact that exposure to restrictions in the name of the law actually are slightly crimongenic. Crimongenic needs theory is a body of scientific social research based upon statistics that studies what factors directly produce or tend to produce crime or criminality. Any treatment not targeting criminogenic needs is counter-productive to efficiency and effectiveness. Subjecting all people who are either through ARD or through conviction subject to IIDs who are low or no risk citizens will actually promote recidivism (the potential to commit a repeat offense). It is well studied that “Placing offenders who were lower risk in structured programs demonstrated that recidivism can actually increase” per Lowenkamp,C.& Latessa, E.J. (2006). The Risk Principle in Action: What Have We Learned From 13,676 Offenders and 97 Correctional Programs?, Crime and Delinquency, (51), 1, 1-17. We need to follow the research and Specific Responsivity actions rather than one-size-fits-all solutions that actually moderately increases the risk of creating an entire class of repeated drunk drivers. In the Washington State Institute for Public Policy study published in 2006, they found that when it comes to low risk or no risk populations “restorative justice [such as IID device installation] for lower risk adult offenders did not produce statistically significant reductions in recidivism rates” and actually were moderately increasing in the rate of recidivism. As far as what the study found for the core group of actual recidivists they wrote “[a]fter reviewing 92 drug treatment programs, the Institute concluded that drug treatment led to a statistically significant reduction in criminal recidivism rates. This was true for adult drug courts, in-prison therapeutic communities, and drug treatment programs using cognitive-behavioral approaches. A review of 25 programs for the general population that employ cognitive- behavioral treatment found on average significant reductions in recidivism by 8.2 percent.” The key to the DUI problem for repeated drunk driving is to follow the proven success of community based therapy models. In the current version of IID law, any offender who is required to have one is only required to have one installed for one year after his or her license is restored. When looking over our data not just from clients who retain, but those who those who consult with us, (a population of data over 1000), we see that recidivism is not that high when compared to other misdemeanor crimes. In other words, the idea that those who get caught and are charged for DUI are largely recidivists is simply not true. Second, we note that those who do recidivise do so after approximately 5.7 years after their prior DUI. This is the arithmetic mean of the population. Therefore, placing IID on cars does not target and prevent core offenders. To do so, they would need to be on the driver’s car for greater than 6 years. As a result of #1, the only real purpose of these laws is to profit private industry. All one needs to do is to take a look at the expensive lobbying efforts at the Capitol by the IID industry to see who is really pushing and profiting from these laws. If you have one of these, you better not brush your teeth (sorbitol), use mouth wash, or even eat a sandwich within a half hour of when you plan to drive. If someone is a diabetic, they can provide for a false positive even with no drinking when they are hypoglycemic. There are reports of cold weather (and boy does Pennsylvania have cold weather at times) interfering with the device. The very small in number truly dangerous drunk drivers who consciously and purposefully intend to get drunk and then drive will not be deterred at all from this device. There are in excess of 7 million passenger cars registered in Pennsylvania, and a similar number of other vehicles. Unless they all had IID devices, then it is very easy for those who want to drink and drive to do so. Just as not having a driver’s license doesn’t stop a single person who is bent on driving to drive, the same is true with those who are ordered to only drive with IID devices in their car. They drive if they want to. There has been a tremendous amount of research into distracted driving. An IID device is yet another type of device that is in the car that can distract a driver. These are some of the reason that show that IIDs are not the magical remedy to stop DUI. Focus should be on education and treatment and not on adopting measures pushed by lobbyists.